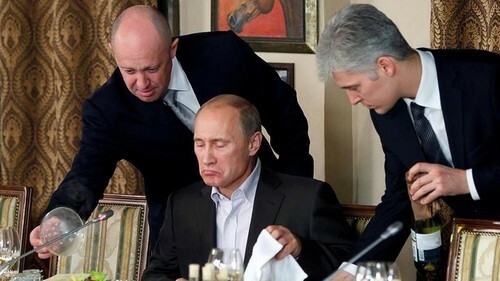 Russian billionaire restaurateur Yevgeny Prigozhin has reportedly set his sights on gold prospecting in Africa after high-level Kremlin meetings late last year. Prigozhin, a figure known as “Putin’s chef,” has a history of catering to St. Petersburg’s elites and winning lucrative government procurement deals. He was sanctioned by the U.S. in 2016 for doing business with the Russian Defense Ministry and indicted in 2018 for allegedly interfering in the country’s presidential elections. A Prigozhin-linked subsidiary has began to explore gold deposits in Sudan after its parent company signed gold mining deals during Sudanese president Omar al-Bashir’s visit to Russia in November 2017, the Bell news website reported Tuesday. Two sources familiar with the talks told the outlet that M Invest, the Russian parent company that signed the prospecting and mining agreement with Sudan, represents Prigozhin’s interests. Over 100 mercenaries from the Prigozhin-linked Wagner military contractor are also in Sudan to train its government units in the nation’s long-running civil war, the Bell cited four unnamed sources as saying. The Bell said it was unable to determine whether the mercenaries also provided security at the five gold prospecting sites operated by M Invest’s subsidiary Meroe Gold. “[W] e can help Russia develop relations with African countries,” Bashir told Putin during the Nov. 23 meeting.